Holly House Dental Surgery in Woodley has been established for over 30 years. Recently refurbished in line with current best practice our dental clinic in Woodley offers a relaxing environment to ensure our patients look forward to visiting us. Offering the highest level of care, our state-of-the-art Woodley dental practice is fitted with the latest equipment, and our highly-qualified team of dentists strive to keep their skills up-to-date and in line with the latest dental research. 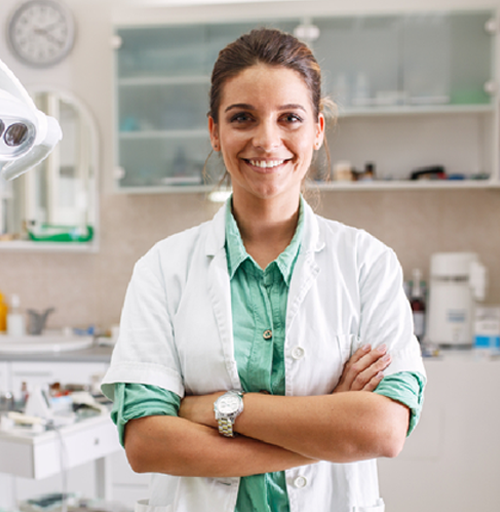 As part of this commitment to best practice some of our dentists have undertaken extra training leading to specialist qualifications in the areas of orthodontics (tooth straightening), periodontics (gum disease), and prosthodontics (replacement of teeth with implants, dentures, bridges and crowns). This offers our patients the unique benefit of being able access all these dental services in Woodley without further travel. We are committed to keeping our patients informed and as well-established dentists in Woodley we keep ourselves approachable. Don’t hesitate to ask us about your dental concerns. Our practice also offers a dental hygienist who will work with you to bring a sparkle back into your smile – even if you haven’t been to the dentist for a while. Our Woodley dental team practice a preventative approach to dental care and will offer you advice on keeping your teeth clean and free of gum disease. Should you require treatment we will endeavour to explain your options fully. We want to work with our patients requiring dental treatments in Woodley so don’t be afraid to ask questions and we hope to see you soon!